Family violence is a constant problem, but the discussion is often limited to female victims. Many men also deal with violence and abuse, but lack access to the same resources. Most statistics promotes by feminists (aka hags) say only females are victims of domestic violence and that is basically false, most men will not call the police when they are abused, and as the video shows, if they do, they usually end up been charged. If one pushes a woman away when she comes at him, that is considered assault, and if a woman pushes a man, that is also assault under Canadian laws, but there is no way a man will call police when he is pushed by a woman. Hence, if both would be counted, and you can see now that they are starting to in some statistics, you find abuse is equal among men and women. Example; When a man was trying to prevent his girlfriend from going out and do drugs, while pregnant, she hit him with an heavy glass ashtray, broke 2 of his ribs, ruptured his spleen. He never thought of calling police because he was a man, she was 5 foot nothing, weighed 100 pnds. He has been involved in many things in his life, military, biker, including been a bouncer, so he was no pushover. It never crossed his mind to call police, not even for one minute, it's a man thing, so he never made it into the "statistics". A man was married to a very emotionally insecure, and obsessive woman, (and obsessive is been polite), knives, blows, adultery on her part, you name it, yet she would call the police at every argument. He never mentioned the knives and the blows, because he did not want her and the kids to be taken away. And again, it was a man thing. These are true stories, and both never made it into the statistics. I don't think that men want to put their women in jail, but the idea that we men are the only ones that are bad in relationships is false and gives false information about the realities out there. It shows clearly that statistics are not been used to help, or inform, they are been used for political and financial benefit. When they throw false information, false statistics, the problem is, once everyone knows they are faked, then anyone who honestly claim abuse, is not believed, what if she is lying like so many others, what if someone is "coaching" her to get custody, what if it is just revenge, or what if she started it. As long as we have false reports, and faked statistics, the problem of family violence will never go away. As a matter of fact, the more they lie about it, the less it will be taken seriously. 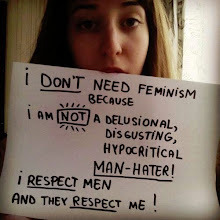 It is sad, because there is many men and women who need help, children who are stuck in between, they cant get it because the truth is been thrown aside, perpetuated by feminists and mangina's for greed and political power.